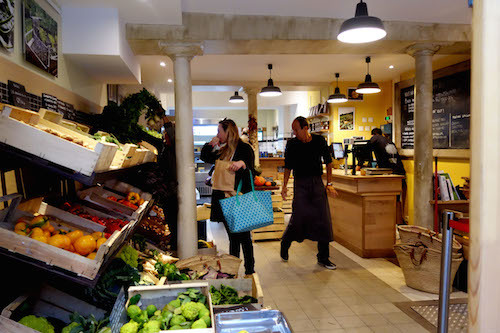 Even if you haven’t been to Terroirs d’Avenir yet, odds are you’ve still tried one of their products. 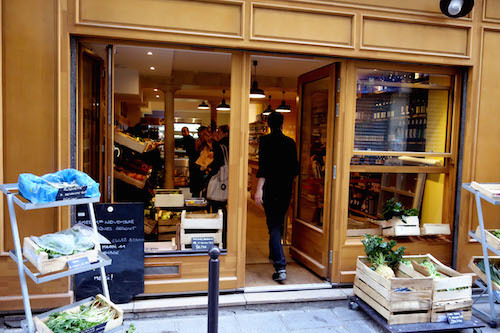 Alexandre Drouard and Samuel Nahon started Terroirs d’Avenir in 2008 to bring exceptional French products from small producers to Paris restaurants, revolutionizing our city’s dining scene along the way. 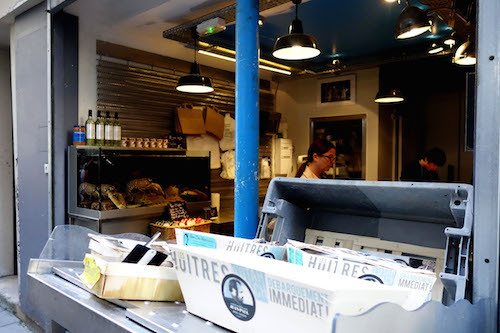 After building a devoted clientele of chefs (among others: Daniel Rose (Spring), Braden Perkins (Verjus) and their current neighbor on the Rue de Nil, Grégory Marchand (Frenchie), Alexandre and Samuel opened the Terroirs d’Avenir shops in 2013. 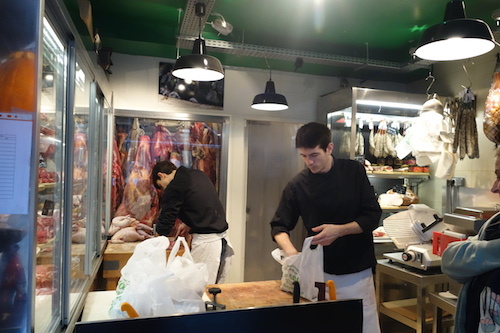 Terroirs d’Avenir is actually made up of three shops in the middle of the Frenchie-plex on Rue du Nil: an épicerie, a fishmonger, and a butcher. 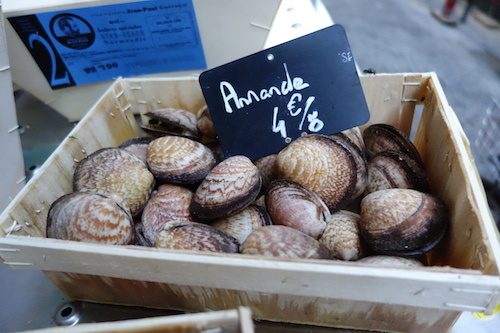 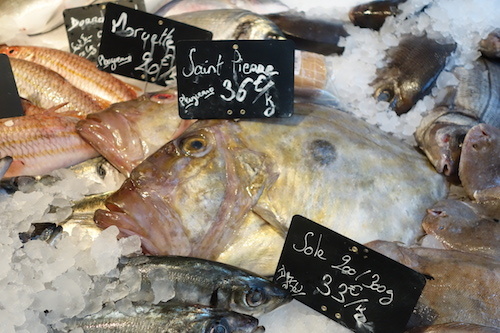 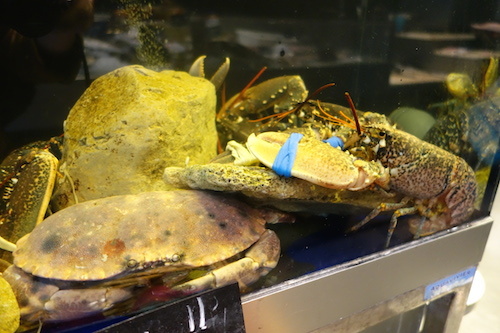 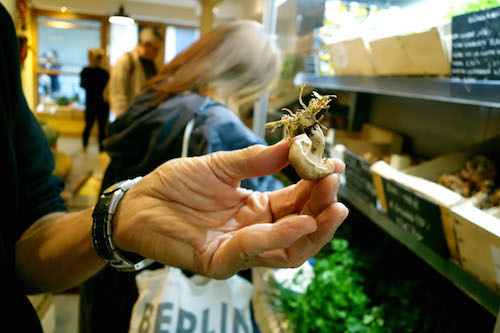 You’ll find a curated selection of the best France has to offer, from French-grown shiitake mushrooms to live lobsters. 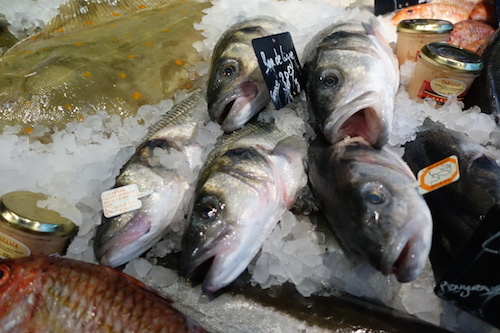 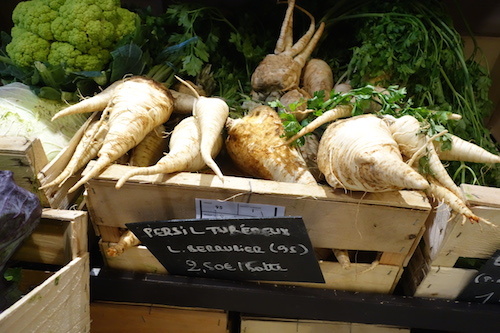 Prices are slightly higher than your average green grocer, but the quality is outstanding. 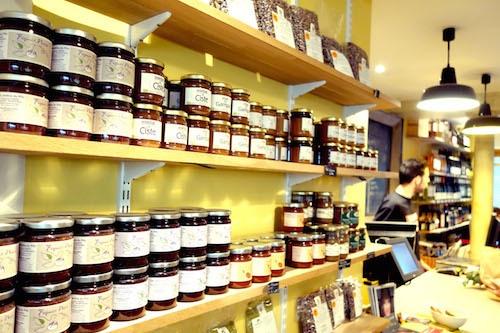 Forget your shopping list at home and come to be inspired by the wonderful and weird products they bring in. 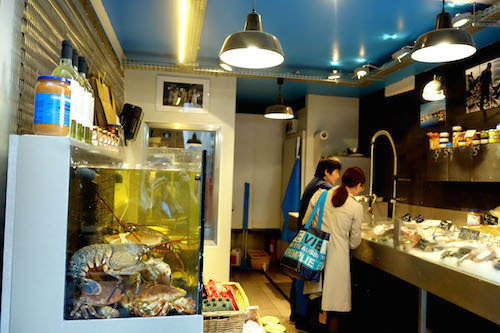 The fishmonger carries an impressive range of line-caught fish, in addition to oysters, live crabs and lobsters, and some exciting daily arrivals: dog cockles, anyone? 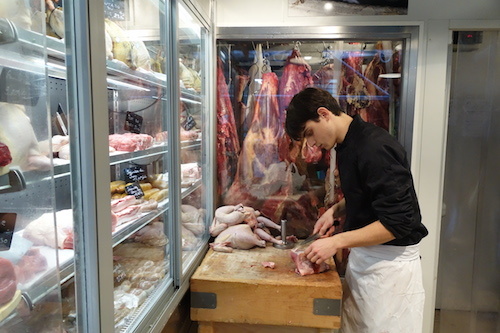 Over at the boucherie, they age their own beef and carry high quality charcuterie and some of France’s finest heritage breeds. 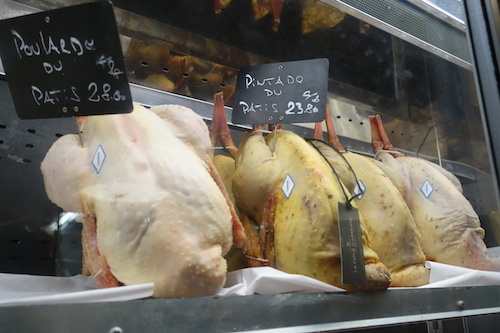 Of note, they bring in the Poularde du Patis, which Hugo Desnoyer called The Best Chicken in The World. 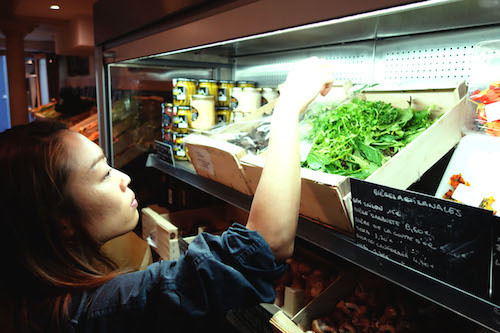 The épicerie carries a wide range of choice seasonal produce, herbs, and greens. 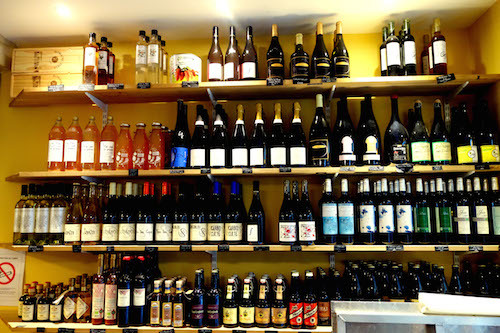 There’s a small but sufficient cheese case in the back and they stock a dependable wine and beer selection (not kept cold so plan ahead), in addition to some artisanal vinegars, jams, and rare spices.